Receive Digiturk, LigTV, HD, sport without parable is now possible! 2 Mbit/s and traffique unlimited internet connection is required! Digiturk Web TV "Spor Paketi" is more than 30 channels Turks.. .via internet in HD quality, available in less than 5 minutes in your living room and more particularly LIGTV HD for a cover full of Turkish football league! 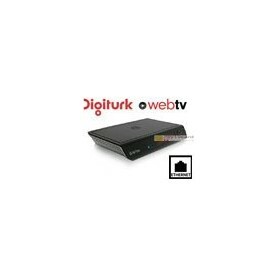 You live in an apartment and / or you can not install satellite dish to receive your favorite channels, you have internet access ADSL (mini 2 Mbps), then web Digiturk Tv is the solution. LIG TVLIG TV2, TV3 LIG, LIG TV HD , EUROSTAR, EURO D, IZ TV, Toon, TNT, SHOWTV, TRT1, FOX, KANALTURK, TV8, CNBC-E, KANAL 7, BEYAZ TV, NTV, 5MINHEALTH, HABERTURK, BJK TV, FB TV, GS TV, NTV, NTV SPOR, TRT çocuk, MINIKA, ALEM FM, Super FM. 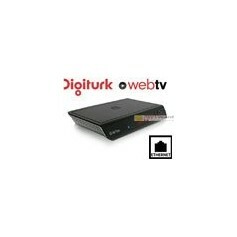 To receive Digiturk, you must have an internet connection ADSL broadband 2Mbps mini.